Fine selection of popular and unique Pizzas & Kebabs - takeaway/delivery service in Costa Teguise, Lanzarote. Open Daily from 18:00 till 03:00 am. Takeaway Food Delivery Restaurants Costa Teguise, Lanzarote. 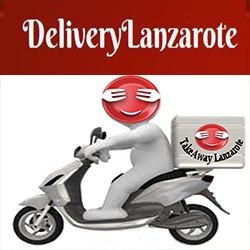 Food Delivery Restaurants Delivery Service - Lanzarote. Arrecife | Playa Honda | San Bartolome | Haria | Macher | Femes .